How to Sell Your Business for its Maximum Price and Best Possible Terms. Which business will be sold, and which will fold? A few weeks ago I had a conversation with a business broker that broke my heart. He told me about business owners who built very valuable businesses that would never be sold. He said that he’s seen thousands of people who think they know How to make money in the HVAC business, but only a select few that can make the real big money. He explained that he is able to find buyers willing to pay the right price but the terms kill the deal. He complained about all the time he spends “spinning his wheels” only for the offer to be rejected by the owner over the escrow or earn-out provisions. He said it pains him to drive by the businesses a few months later to see their doors shuttered. That’s why there are companies that offer software for insurance agencies a broker needs to grow and thrive. The business broker sides with the prospective buyers. He said they are justifiably nervous. They are worried that they will not be able to operate the business. They realize that the company is too dependent on the business owners and key employees. The broker explained further that he felt the buyer’s terms were not unreasonable. They only want to offset their risk. Unfortunately, the sellers do not understand the buyer’s point-of-view until they experience it. By then, it is often too late. They wasted too much time. The broker estimated he can double, or even triple his commissions if he could solve this problem. The question is what to do? The business broker and I spent a lot of time considering options. (1) Business owners are under the mistaken impression that it will be easy to find a buyer willing to pay top dollar for their business AS IS. They are wrong! We decided business owners need an objective and credible way to assess the value of their business from the point of view of the prospective buyer. (2) Business owners need to be willing to spend some time preparing their business for sale. There is no point wasting time finding buyers for a business that is not “PACKAGED” to sell. The broker estimated that if a seller would spend a few months and $10,000 preparing their business for sale with systematic operations, they would significantly increase their chances of finding their ideal deal. Yes we know, business owners are exhausted, overworked, and overwhelmed. They already bristle at the idea of gathering financial statements and tax returns – that’s why it might be easier to get someone else to sort out your financial analysis. It will be doubly hard to convince them that they also need to write operations manuals and “package” their business for sale. To this we both agreed: TOUGH! Their business is likely the most important sale they will ever make. It is worth the time, effort, and investment. The broker emphasized this point by telling me the story of one of his clients who was so organized he was able to quickly complete a 140 page questionnaire required by a venture capital firm interested in acquiring his business. The broker closed the deal in record time. This business owner embodied the definition of “luck” – The point where preparation meets opportunity. If only ALL businesses were so prepared. Our question to you is: What do you do with businesses that are so disorganized, or so dependent on their owner and key employees, that they cannot be sold for their maximum value or with acceptable terms? 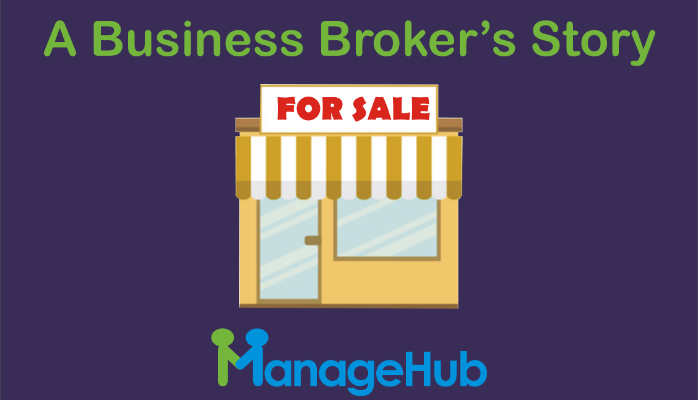 ManageHub and the Alliance for Performance Excellence have created a turnkey set of tools to help prepare a business for sale at a higher price, and with better terms. We invite you to join our initiative. First… Who is the Alliance? The Alliance is the outreach arm of the U.S. Baldrige Performance Excellence Program. Baldrige was created by Congress in 1987 to help businesses grow their value by pursuing excellence in product and service quality. 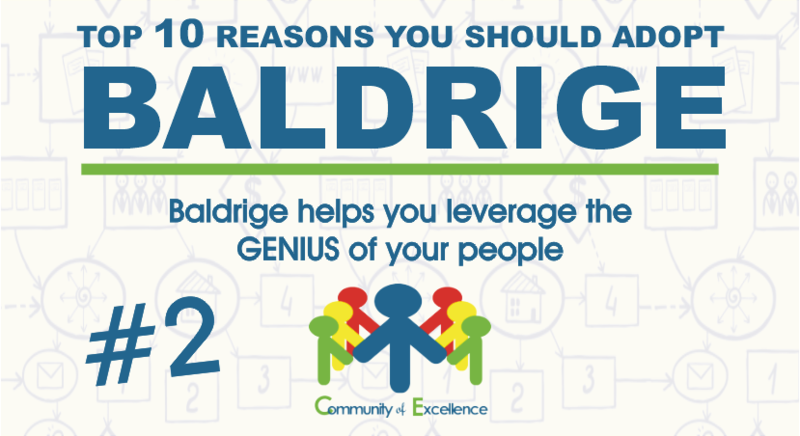 During the last 25 years Baldrige has been adopted by the largest Fortune 500 companies. Now, the Alliance is working with ManageHub to offer non-technical and easy-to-implement Baldrige-based tools that help smaller organizations become more sustainable, scalable, and SALEABLE. Why is the Alliance interested? The Alliance is aware of the tsunami of baby-boomer owned businesses coming to market. Reports estimate that 65%+ of smaller establishments will either be sold or fold in the next ten years. Estimates are that about ten trillion dollars of value are locked in these companies. The concern is that a large percentage of employer-based businesses will not find a buyer. The Alliance and other partner organizations like SBA-SCORE and SBDCs worry about the impact on overall employment and GDP. ManageHub and the Alliance have developed a suite of tools specifically designed to quickly “turnaround” disorganized businesses and prepare them for sale. The tools include the ManageHub Success Score, 4-Part Accelerator, and software. The ManageHub Success Score is a simple, yet comprehensive assessment that measures an organizations maturity focusing on six Baldrige-based dimensions: Leadership, Strategy, Customer-focus, Employees, Operations, and Results. The assessment generates six individual scores that are explained in a 25-page report that identified gaps and suggested corrective action. The ManageHub Accelerator is a 4-part, on-demand video workshop series designed to help business owners (and their team) quickly fill the gaps identified on their Success Score assessment. The objective of the accelerator is to help the organization become less dependent on the business owner and key employees. Topics covered include process documentation, strategic planning, and employee engagement. The ManageHub Software is used to “package” the business like a gift delivered on a silver platter. It creates a virtual representation of the company’s business-model. It can be used as a sales tool that gives prospective buyers confidence that they can operate the business independently. It can also be used to ease the transition after the sale by reducing the need for the seller’s active involvement. (1) You can immediately start using the Success Score Assessment as a tool to help determine the sustainability and value of a business. The Success Score Feedback Report will help you explain to prospective sellers the need to proactively prepare their business for sale. (2) You can refer business owners directly to the ManageHub Accelerator. We will guide them through our 4-step process and help “package” their business for sale. We can keep you involved and alert you when they are ready to put their business on the market. (3) You can also become a ManageHub Coach and offer the ManageHub Accelerator services directly to your clients. However you proceed our shared objective remains the same: To prepare the business for sale at its maximum selling price and with the best possible terms. Of course, if you have any questions, you can contact me directly.